This year: well… yeah. I think, based on what I’ve seen on social media, quite a lot of people have reached a consensus that 2016 hasn’t been our favorite year in recent memory. Perhaps that, and for many of my own reasons why (which I’ll cover in my 2016 recap and not this post), I expected myself to go all out on the holiday decorations. 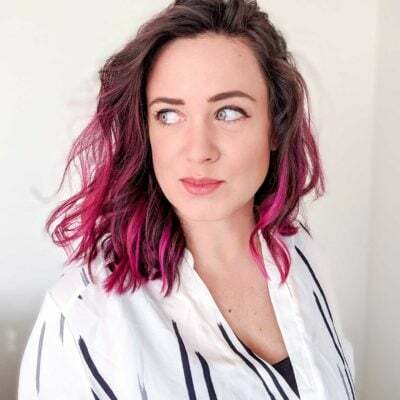 I’m stubborn (duh, hi, have we met? ), so I wanted to end the year on a high note: a last, big flourish of Christmasy-ness. Lotsa glitter. Silver. Gold. White. And instead, I did what felt like nothing. I did about 3% of the things I thought I was going to do. … and basically didn’t bother to throw on a single ornament for all of December. At first, I thought the usual culprit — procrastination — was to blame. Every day that I walked by my tree, I told myself tomorrow, and kept doing other things. I sorted through all of my ornaments for the color scheme I wanted to go with. I bought four new ornaments that coordinated with the color scheme I planned to go with. And yet, tomorrow. I left it as-is. It was blank (well, almost, since the lights were already attached) and comforting. I could walk by, let my eyes glaze over, and just appreciate my nearly-naked tree. I put a skirt on it because it seemed silly without one, but that was it. I did the holiday thing at other people’s houses and came home to doing my own, quiet thing. It’s actually been really nice to feel a sense of slowness at a time of year where everything else seems so rushed. I’ve been spending time with family, new and old friends, and neglected to feel bad about not throwing glitter on a year that I am not even planning to be friends with as of January 1st. In hindsight, I’m glad I did things this way; my 2016 tree reflects my feelings about 2016 pretty well. So, it’s not going to be in anyone’s pretty Christmas roundup or get pinned a million times, and that’s perfectly alright. Instead, I’m going to spend the rest of the season getting myself ready to bring on a new year with lots more in store (for example, in case you missed my comments in the sneak peek last week, I have been working with a brand on my laundry room makeover project and that big reveal is coming in January). 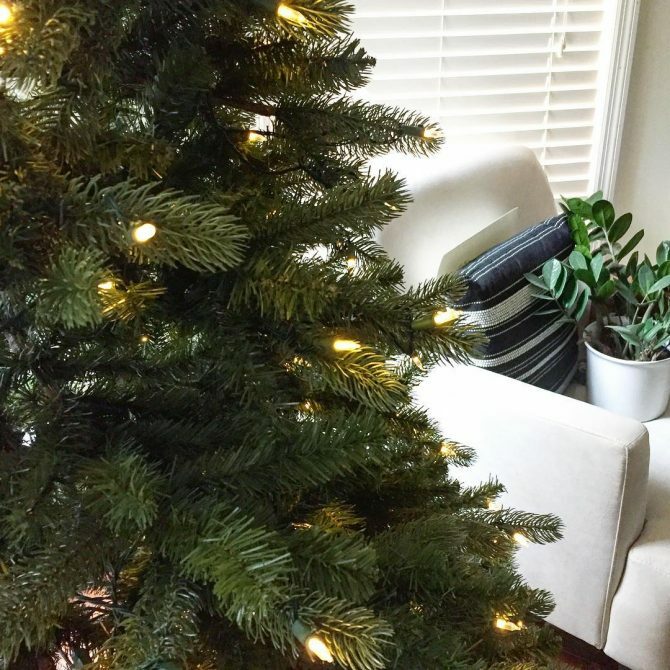 Have you ever put up a Christmas tree, only to not decorate it? I know I can’t be the only one, but I’m curious how many of you did the same or similar! I totally understand your feelings re naked trees. 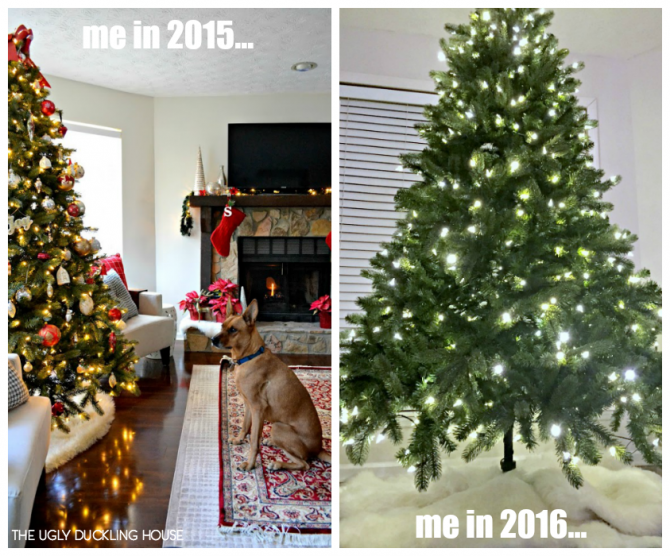 I also had ambitious plans for my tree this year and then we did early November and it was just like “nope.” On the plus side, I have always been a bigger fan of lights than ornaments (my tree was also naked last year, but intentionally) so it doesn’t bother me. But none of my other Christmas stuff has made an appearance, not even my gold glitter wreath. 2016, you’ve been a real pill. Our tree is up and not decorated . . .Yet! Our tradition is to put on the ornaments on Christmas Eve. Perhaps you could adopt our tradition and do it today if the whim strikes. If not, I think it actually looks quite lovely as it is – for me this particular holiday is all about the lights anyway! Oh yes! My tree got decorated this year but the box that holds all the ornaments sat underneath it like a sad, oversized, unwrapped present till yesterday. I’m sorry this year hasn’t been your BFF. Hopefully 2017 will be better and 2016 can be like the awkward prom pic you hide in the back of a drawer. Merry Christmas to you and Charlie! No, I”ve never put up a tree only to leave it bare. This year, I have 4 trees (one live) in our new to us home. I hope you have a Merry Christmas, and that 2017 is much, much better for you. I haven’t done a naked tree before, but I have done nothing at all for years. See, what had happened was, a few years ago I decided to go all out for Christmas decorations, too. And then the actual holidays came and went and exhausted me and I left my tree up UNTIL MARCH. I finally pulled out our little 4-foot pre-lit tree for the first time in about 5 years. When we had a new kitten a few years back we did a lights only tree since she declared it her jungle gym. I liked it so much that now the years we have a tree we don’t bother with any except lights, a tree topper, and a tree skirt. Yes, we went from had to have real freash cut to nice simple beautifuk artificial. 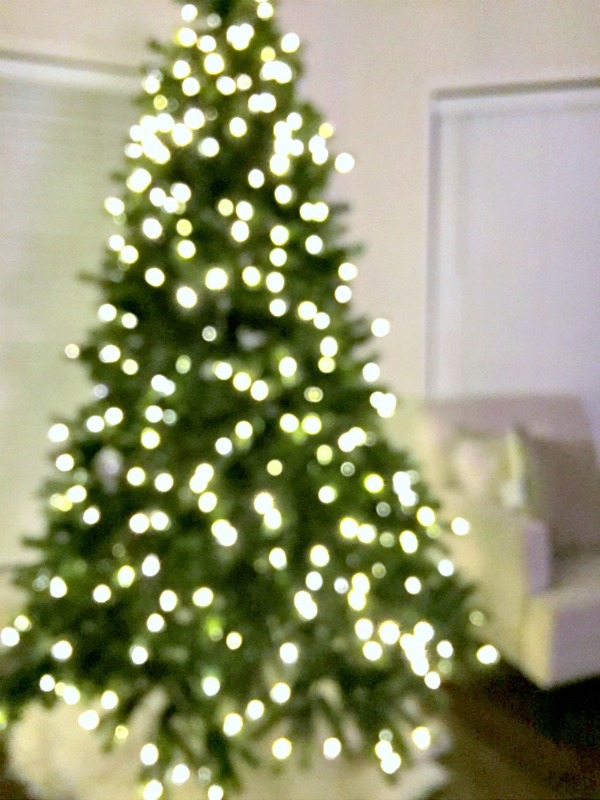 Now I usually put out a two foot tall ceramic Chrismas tree with lights inside it my mother made years ago as well as a lit color changing fiber optic tree – no ornaments. YES! One time when I was a lot younger and had just moved out of the apartment I shared with my sister into a tiny, upstairs apartment on what I now know was the wrong side of town, I bought a small table-top size tree and set it up, but I think I was too depressed to decorate it. I had just ended a relationship and was feeling very low and discouraged. I didn’t even put lights on it. I remember sitting in the little living room by myself and looking at the little tree and smelling it’s pine scent and thinking, “I like the tree just as it is. 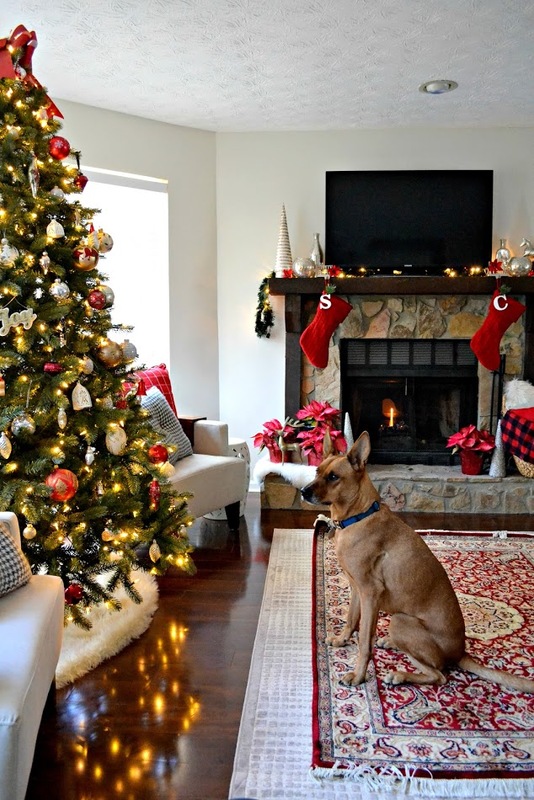 I don’t need to decorate it.” I didn’t have the energy and that was okay. So I think your “nearly naked” Christmas tree is more than okay. It does reflect the somberness of the end of 2016 just like mine reflected the somberness of my mood that year. I hope that your Christmas was lots of fun anyway and that the New Year will start off on a brighter note. I think your 2016 tree is pretty. Sometimes the simplest expression makes the biggest impact. I ran into the same issue this year when decorating. The tree is my most favorite Christmas decoration. We got a real one about the 1st wk in dec. It took 5 days before it came inside. Another week before i got it adorned w/ lights and a too heavy wood star topper. Then it sat like that for a couple of days until my person came home from work with an ornament and hung it on the tree. This happened a couple more times- so then the tree wasn’t even pleasant, it just looked weird with lights & 3 ornaments. I finally put on some Christmas music and put 2/3 of our ornaments on it- smoothed out the weirdness. I realize now that i could have just removed those 3 original ornaments, but obvs my person wanted them. So i compromised for him, but still honored what i am feeling. I know my mom went ornamentless this year as well. I don’t think there is an issue with allowing ourselves to do what we feel is right for the time, esp when it comes to holiday decorating. As an artistic expression, it’s always best when developed organically. 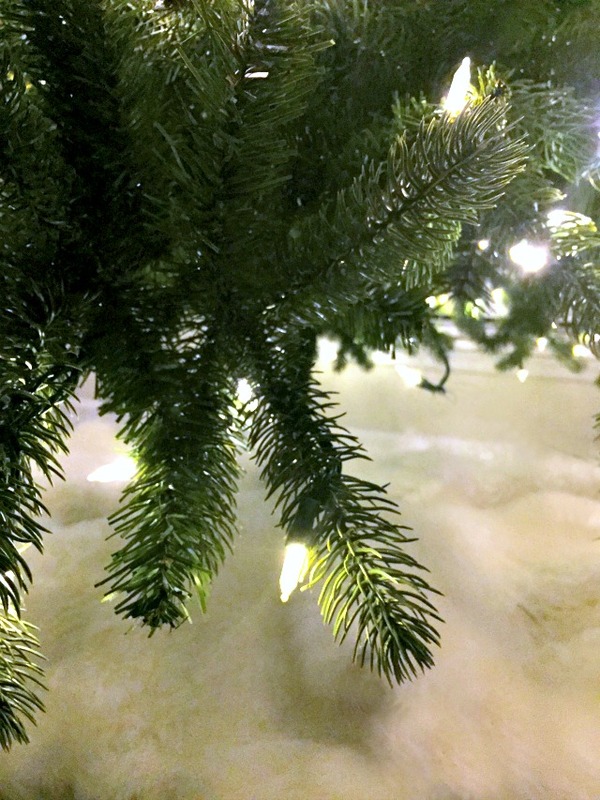 And if you want to keep that pretty, peacefully glowing tree up all winter then do it. I actually added a second tree to the lineup this year and CHOSE not to add ornaments. Just white lights. It’s a design choice not a reflection on mood! We had all sorts of plans. They started with moving our girls into shared sleeping room (done! ), culling toys (eh, sorta done), then cleaning off a 3′ ledge between the hall and living room (not done) for our tree. We even got everything out of the attic, hubs put up the wreath and star. And, we stopped. We walked by the bins every time we left or came home. They are still in the garage, right where they landed, still packed up. So, in the next couple of days, the wreath and star will come down, get packed up, and we’ll lug everything back up to the attic. I almost did it this year too but my Hubby vetoed me on the idea. We had the tree up with lights for like two weeks before I decorated it. I really did say I was thinking of leaving just the lights! Do I leave my tree bare? No, I guess. I don’t have a tree. I don’t decorate. It’s such a time-saver and stress-saver, and $ saver. No regrets! 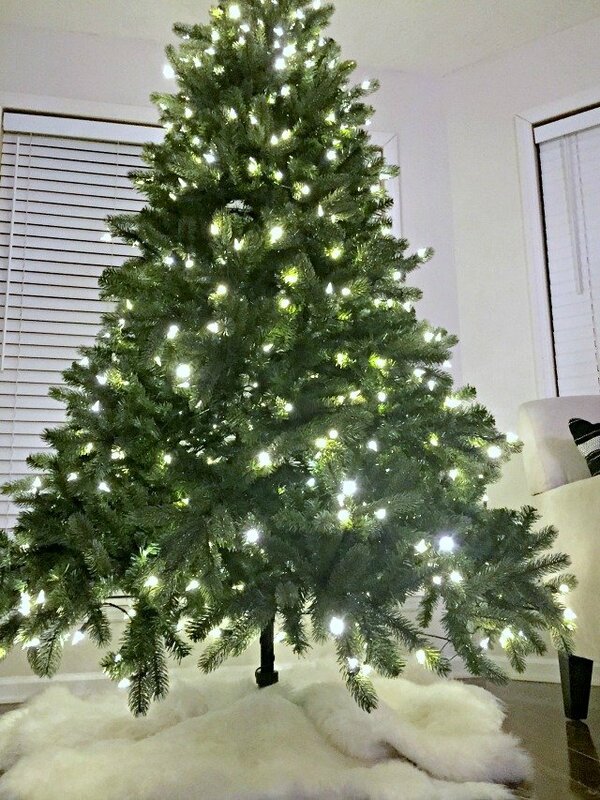 I am a disabled person and have a really hard time dealing with Christmas trees. Yours sounds so doable. If you have anymore info it would be greatly appreciated. Name, numbers, etc.